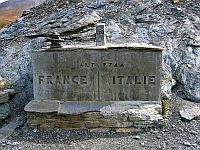 Col Agnel, or Colle dell’Agnello in Italian, links the Queyras Valley in the Hautes-Alpes, in France, with Pontechianale in the province of Cuneo, in Italy. Despite being the highest international pass of the Alps, and the third highest mountain pass in Europe, it has very little traffic and is somewhat unknown. 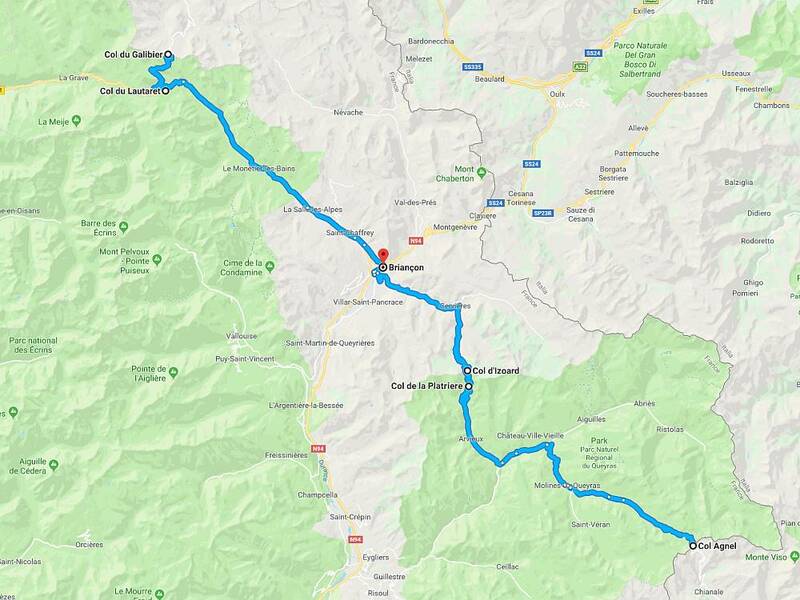 The climb from Chateau-Queyras on the French side is 13 miles long and at Molines-en-Queyras there’s a subtle junction – a sharp left that runs uphill and through the village – where the D5 turns onto the D205T. You’ll know if you’ve missed it because ultimately the D5 is a dead end and you’ll find yourself retracing your steps back to the junction. From Casteldelfino on the Italian side it’s 14 miles to the Italian-French border at the top. Col Agnel really is a superb not to be missed biking road with views to rival the Col du Galibier and when we first rode it in 2008 the entire pass was being resurfaced in time for its first ever appearance in the Tour de France – on 20th July during stage 15 between Embrun and Prato Nevoso in Italy.